There are multiple ways to diversify a trading account. For instance, trading uncorrelated pairs means applying diversification method. Also, fundamental trades diversify a Forex trading account from the technical analysis trades. 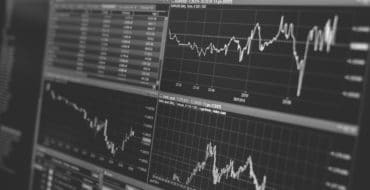 Furthermore, the diversification method used to protect the account avoids the emotional rollercoaster in Forex trading. However, some drawdowns exist too. The more diversified the account becomes, the less equity variation will have. Hence, over-diversification is an enemy to performance in currency trading. Splitting the risk in too many assets will make the portfolio insensible not only to future losses. But, also to potential future profits. The Forex dashboard is made of currency pairs. Currencies of various countries and regions in the world fluctuate against each other. Grouped in pairs, they reflect the country’s or region’s economic strength. Correlations matter when applying diversification method in Forex trading. But, this is a general term, as a Forex trader can easily diversify the trading account across multiple assets. Because it is a money management technique, diversification only won’t protect the account. Instead, traders use it as an integral part of the overall trading strategy. The starting point to any money management system is understanding the trading account. That is, the elements and tools the trader has at disposal. Next, the markets to trade. Basically, defining the potential. The rest of the information provided is just additional info. As a trader, you don’t really need it. From the moment traders fund the account, the game is on. Contrary to the general belief, the aim is not to make money! Or, at least, not at all costs. If the aim is to make money at the cost of losing the entire account, then no thank you. That’s stupid! Instead, as a trader, I want to diversify my trades, my options, my exposure, in such a way that no market move kills the trading account. It may affect it, but not kill it. Applying diversification method in Forex market starts with the size of the trading account. It continues with the equity. And, it ends with the opportunity cost. Now let’s have a look at each in greater details. The trading account’s size gives its potential. And, while the amount per se doesn’t matter when applying diversification method, a minimum amount exists. If trading for a living, an account of one thousand dollars won’t get you far. Hence, the account needs to be big enough so that the returns can cover the lifestyle. Again, the diversification method is the same when trading a one hundred, one thousand or a million-dollar account. After all, traders use percentages derived from the trading account’s size to set the volume of a trade. This, in turn, affects the diversification method’s exposure and the trading account’s performance. But with a small account, traders are prone to make silly mistakes. They don’t bother much when the market goes against the desired position as losing the account won’t affect their overall liquidity. Hence, the size of the trading account matters from a diversification method’s point of view only because the trader becomes more disciplined. Discipline, instead, leads to heightened attention. Finally, attention leads to performance. The equity of a trading account is the key element in interpreting it. The higher, the better, obviously. When looking at equity, traders see the current state of the account. All losing and winning positions combined give the equity of a trading account. 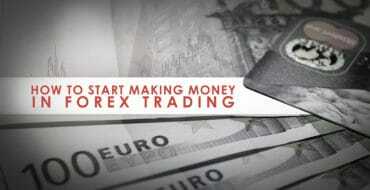 It changes instantly, as the Forex market is extremely volatile. But this is nothing new to Forex traders as money management rules like diversification method applied to a trading account help avoiding large drawdowns. Therefore, between equity, balance, and margin, focus on equity. It tells the real story of a trading account. In economic terms, the opportunity cost refers to the cost of doing nothing. Or, the cost of not taking a position. The main reason for that is that there is no free margin. Or, no cash available in the trading account for a new position. Hence, to avoid opportunity costs, make sure the trading account always has a good chunk of it “invested” in cash. Putting cash aside for future trades is the number one rule when applying diversification method in currency trading. Ideally, the cash position relates to the equity of the trading account. After all, cash is king. Right? Applying diversification method in Forex requires a thorough understanding of the trading account. 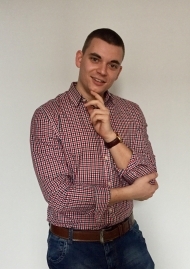 More precisely, not only an understanding of the trading account elements we already explained. But also, of the markets offered to trade by the brokerage house. Correlations matter the most. Because financial markets these days are interconnected, what happens in one market influence the others too. For instance, ask a Forex trader if he/she trades oil. The most likely answer is no. However, if he/she trades any CAD (Canadian Dollar) pair, it means he/she trades the oil market. Based on all the above, understanding correlations is the first thing to consider when applying diversification method. Correlations are tricky in the currency market. They lead to overtrading. And, overtrading leads to overexposure. Finally, this last one leads to losing the account. The problem with correlations comes from human nature. Greedy as most people are, traders fell prey to overtrading. If buying EURUSD and GBPUSD makes sense, then buying AUDUSD should work too. If that’s the case, why not buying NZDUSD also? So, from one or two bullish scenarios, traders end up extending the concept to other currency pairs only because it makes sense from a correlation point of view. However, such a strategy leads to correlated losses too. Tellingly, the account will suffer if the original trade idea was wrong. If the EURUSD and GBPUSD end up with losses, the same will happen with the other two. One good question here is that the possible win is also much bigger. That’s very true! However, remember what we’ve said at the start of this article? The aim is to master avoiding losses. And only next to focus on making money. For this, diversification method helps. And, avoiding correlated markets is the first and most crucial step in the process. This part refers to currency trading only. From all the products offered by a Forex brokerage house, the currency pairs are the most numerous. As mentioned earlier, currencies reflect the strength of an economy. The stronger the economy gets, the higher the interest rate for that currency will be. Hence, investors will favor buying it. Think of the Forex dashboard as representing the entire world economy. Because, in fact, it does exactly that! Moreover, think of countries like the United States, Canada, Mexico, Japan, Australia, Switzerland, to name a few. Or regions like the European Union. All these nations have their own currency. Or, a common currency as is the case in the Eurozone. For every currency, there is a central bank. That’s mandatory. Furthermore, every central bank has a mandate. Typically, it revolves around inflation. However, that’s just the official mandate. To keep price stability at all costs. But that comes as a result of economic growth. Studies show that normal economic growth requires certain inflation levels. Hence, while the official mandate of all central banks is to safeguard price stability, in fact, they stimulate economic growth. 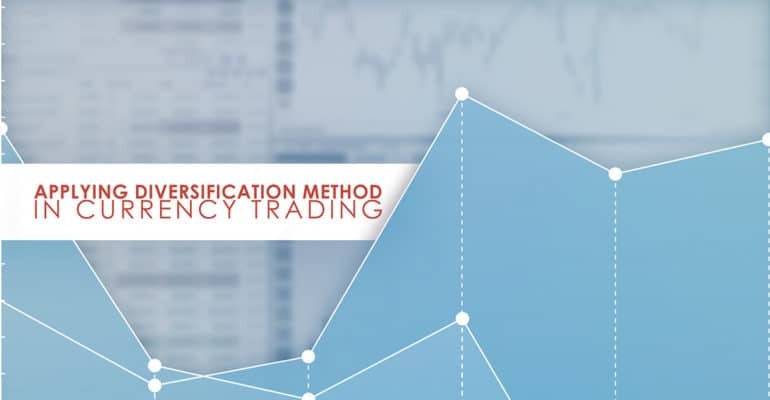 The diversification method refers to avoiding currency pairs that have the same currency as the dominant one. And, in currency trading, that is the U.S. Dollar. As the world’s reserve currency, the USD is the number one currency bought or sold every single trading day. A huge chunk of international trade is done in USD. Commodities like oil, gold, and so on, are priced in USD too. Moreover, foreign nations around the world choose to keep their excess reserves in USD. Not in the local currency! For all these reasons, the USD pairs act in a correlated manner. That’s the first thing to know when applying diversification method. One thing is to avoid trading correlated USD pairs. Hence, buying or selling another USD pair just in sympathy with another trade won’t get you anywhere. Instead, it only increases the chances to expand the potential losses. As you noted already, intra-market correlations refer to correlated currency pairs. The USD is the most important element, as is the world’s reserve currency. However, other currencies enjoy a correlation too. And, while in the case of the USD the correlation was a direct one, in the case of commodity currencies, the correlation is inversed. Or, it is a direct one, but the currency pairs act in an inversed manner. Specifically, we refer here to the AUD (Australian Dollar) and CAD (Canadian Dollar). And, the two currency pairs that enjoy an inversed correlation are the AUDUSD and USDCAD. When talking about correlation, we must discuss the correlation degree too. One hundred percent correlated markets don’t exist. Or, if they do, it is an artificial peg. Like, for instance, the EURCHF was all the time the price was pegged to the 1.20 level. For as long as the peg held, the 1.20 meant one-hundred percent correlation. The further the cross pair went higher, the lower the correlation degree became. In this case, currency trading was reasonably easy. All traders needed to do was to understand the EURCHF, EURUSD and USDCHF triple correlation. Or, the one that defines the two majors and their cross. Namely, when the EURCHF got closer to the 1.20, the EURUSD and USDCHF enjoyed an almost identical inversed price action. Hence, applying diversification method to the three currency pairs won’t work. Instead, trading more than one pair would mean overtrading. Hence, not only that traders won’t diversify the account, but they end up doing precisely the opposite: overtrade. Besides correlated currency trading, some other correlations exist. And, they will influence the performance of a trading account. Traders easily fell prey to the temptation of trading a market just for the simple fact that is open. Or, that the broker offers it. Of course, the broker has the interest that traders open and close as many positions possible during the trading day. After all, commissions keep pouring, and that’s’ all that matters. The technical traders are the ones that ignore inter-market correlations. Here’s why. A technical setup means that the trader has a strategy based on technical analysis principles. Either a scalping trading strategy based on an Expert Advisor, or a trading strategy that follows a trading theory, it doesn’t really matter. What matters is that the technical trader believes that if a setup works on one currency pair, or market, it’ll work on all of them. Regardless of the nature of the market, using the same indicators should give the same results. As explained earlier, correlations do exist. But, correlations have different degrees. Some markets have a tight correlation, some other ones a looser. the price of oil and the Canadian Dollar (CAD) enjoy a direct correlation. Effectively, it means that it is very hard for the CAD to rise and the price of oil to fall, except when the Bank of Canada (BOC) changes the interest rate level. And even this kind of a reaction ends up being just temporary. gold is priced in USD. The AUDUSD is one of the most popular currency pairs part of the Forex dashboard. Gold (XAUUSD) and AUDUSD move in a directly correlated fashion due to the strong influence of the Australian mining sector in the Australian GDP (Gross Domestic Product). Enough with correlations. They are a trader’s worse enemy. But also, the best friend once understood how they function and how they affect the trading account. The last thing to do when applying diversification method is to split the trading account. Or, to split the potential investment. cash is king, and for a good reason. Allow up to a quarter of the trading account to always be liquid. It means there’s always the possibility to avoid opportunity costs by having the money to invest in a good trading setup. Plus, it offers margin to the trading account. allow up to fifty-five percent of the trading account to be invested at any one time in currency trading. Of course, follow the correlation rules explained above to avoid overtrading. Up to ten percent should go to commodities trading. Gold and silver, specifically, enjoy a safe-haven status. So, when things go bad in the stock market, it will affect the JPY pairs too. Hence, if the portfolio has exposure to JPY, it will suffer. However, a gold position will balance the account. Or, the diversification method will contain the damages. By other markets, we mean individual stocks, indices, and so on. Whatever other products the broker offers, fall into this category. With one condition: trades must understand what is the correlation with the other markets. It is obvious that the diversification method depends on correlations. As correlations in currency trading are of multiple types, one needs to be careful when deciding to buy or sell a currency pair. All in all, applying diversification method requires understanding the trading account and the financial markets. After all, what is the diversification method in Forex if not that?